(TibetanReview.net, Oct12, 2018) – Not that it mattered at all to the leadership in Beijing, but for the sake of formality, China has just made legal its more-than-a-year-old sprawling network of extra-legal ‘re-education camps’ incarcerating up to a million Uyghur and other ethnic Muslims in the Xinjiang region to make them communist-Party-of-China-compliant citizens. This followed intense criticism of China over the issue during the Aug 2018 session of the United Nations Committee on the Elimination of Racial Discrimination in Geneva and, following it, by many countries, including the European Union and the USA, as well as human rights organizations across the world. 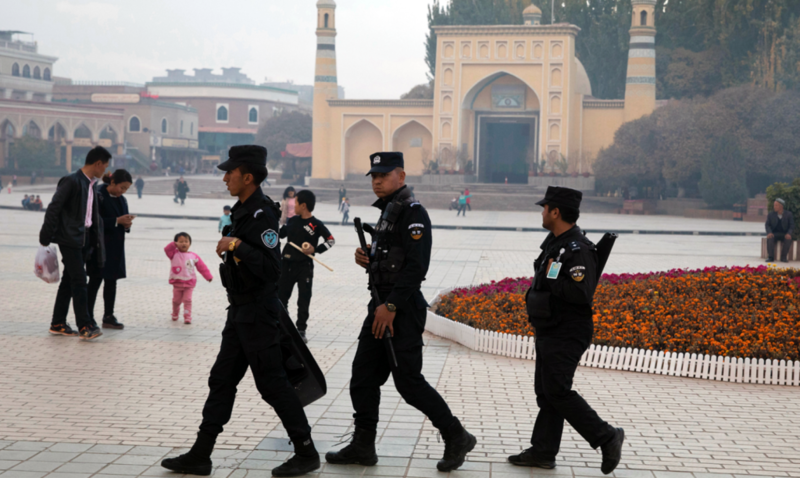 The far-western Xinjiang region has revised its legislation to allow local governments to “educate and transform” people influenced by extremism at “vocational training centres” – a term used by the government to describe a network of internment facilities known as “re-education camps”, reported the scmp.com Oct 11. The report noted that the change to the law, which took effect on Oct 9, came amid an international outcry about the secretive camps in the Xinjiang Uygur autonomous region. It cited observers as saying, however, that writing the facilities into law did not address global criticism of China’s systematic detention and enforced political education of up to one million ethnic Uygurs and other Muslims in the area. The report pointed out that Chinese officials had earlier denied the existence of such arbitrary detention and enforced political re-education bases; that they only said some citizens had been sent to vocational centres for minor criminal misdemeanours. The revision to the law, issued by the regional legislature, recognises the use of such centres as part of the government’s efforts to eliminate “religious extremism”, which in recent years have also included a massive security crackdown in Xinjinag and sweeping restrictions on Islamic practices, the report said. The report noted that the old version of the law was passed in Mar 2017. It bans a wide range of acts deemed manifestations of extremism, including wearing veils or having “abnormal” beards, refusing to watch television or listen to radio, and preventing children from receiving national education. The report cited James Leibold, an expert in China’s ethnic policies at La Trobe University in Melbourne, Australia, as saying the global criticism of the use of the detention centres had led to the Communist Party “scrambling to justify them legally and politically”. It also quoted Li Lifan, a central Asian expert at the Shanghai Academy of Social Sciences, as saying, “I think it … targets foreign criticism of how Xinjiang re-educates extremists and their family members,” adding that the regulation provided legal support for the authorities’ efforts to “maintain social stability and national security”. Kristin Shi-Kupfer, director of research on public policy and society at the Mercator Institute for China Studies in Berlin, has said China’s current measures “clearly blur the boundary between the realm of religion, culture and crime”.